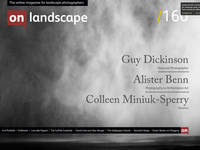 A new paradigm for landscape photography? The day after he arrived, we had a very enjoyable walk around one of my favourite oak woods, although the weather was wall to wall blue skies which made photography challenging. Simon returned the following day to create an episode of video content that he has shared exclusively with us and also answered a few of our questions about his use of video content. What started your own path into creating video content? I was talking to a fellow local photographer and friend who said, "You remind me of Thomas Heaton". I had no idea who he was talking about but I looked him up, found about six videos on YouTube and sent him an email to show my appreciation for his work. We then ended up meeting in my local stomping ground, enjoyed a winter's morning shoot and we stayed in touch from that point. Ultimately, he encouraged me to start my own YouTube channel and it seemed like the right thing to do because I was keen to see how my work would be accepted by a (potentially) wider audience. Having being forced to give up mountain biking and losing a lot of confidence in the process, it seemed like a daunting but worthwhile challenge. I also had some experience in creating mountain biking videos before the days of YouTube, so it was fun to rekindle that interest. I didn't jump in feet first though, I spent a few months pondering the prospect of putting myself out there in such a personal way. In the same way I approach photography, I was patient and waited until I could capture one of my favourite local woodlands on a moody morning. It was a huge surprise when my first video gained traction and set the foundations for growth. My photography is about therapy and pain management, so I've always wanted a feeling of relaxation and the joys of being a dog owner to comes across in my videos.